If you are still looking for the perfect gift for perhaps the person who has everything or the hard to shop for person on your list. I have a solution. Five Finger Tees. 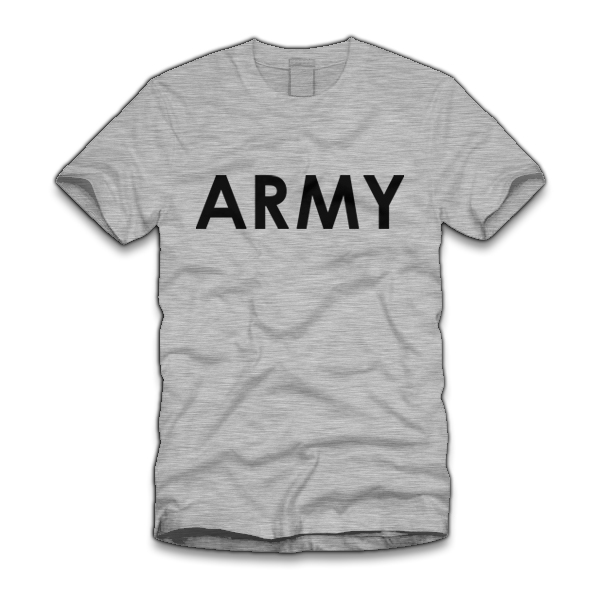 I recently received this Army T-Shirt for the purpose of review. What I love most about Five Finger Tees is that they have very affordable prices. With high-quality Shirts starting at only $9.99, they are on the top of my list where that’s concerned. I also love the wide variety of hard to find or never before seen shirts. Many of the shirts I had never seen before. If you are looking for a gift for someone with a good sense of humor, they have a wide selection of some quite funny shirts. Five Finger Tees offers a wide variety of pop-culture, movie and TV inspire T-Shirts. Whether you have a Stars Wars fan or Batman fan on your list. Five Finger Tees is sure to have something that you are looking for. Discloser: I was sent the above item for the purpose of review. The opinions expressed are my own and may differ from those of yours. Although I was sent the item free of charge. I only suggest items that I personally use, like and believe are beneficial to my readers.